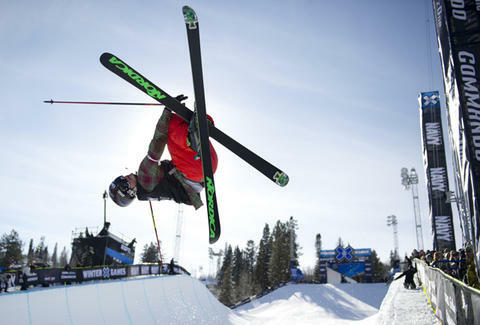 The world’s top action-sports stars converge at X Games Aspen 2013, hitting Buttermilk Mountain from Thursday, January 24th to Sunday the 27th. To find out what’s in store for the lucky S.O.B.s who attend, just keep on reading, because reading is EXTREME. For absolutely free, you get to watch 200 athletes compete for prizes/cash-money/oversized-check-money in skiing, snowboarding, snowmobiling, and snocross over the course of four days. That's right: it will cost you nothing to catch X Games gold-medalists like skier David Wise, snowboarder Mark McMorris, and snowmobiler Levi LaVallee pulling out their best tricks up-close-and-personal, and see SuperPipe five-peater Shaun White raise the bar even higher than his perfect scoring run, which last summer allegedly included raising the Bar. As if that wasn't thrilling enough, there are three new series joining the festivities: X Games FILM, STYLE, and MUSIC, which brings together Calvin Harris, Major Lazer, Bloc Party, and Tyler the Creator. Whether or not your future's odd, it'll definitely be awesome.